Star Trek, the original show, turned 45 years old this September. Meanwhile the tenth anniversary of the last Trek show Enterprise is also in September. The point is these milestones came and went largely unnoticed or celebrated. So we all wonder why the lack of enthusiasm? Really, everyone lately is yakking about the Star Wars blu-rays, Back to the Future shoes, new super hero movies, Harry Potter and even a new Avatar attraction for Disney’s Animal Kingdom, but barely a peep out of the world of Trek. I clicked over to the Star Trek website and it seems like a slow week in January. An article reminiscing about Enterprise, IDW comics, Star Trek: The Exhibition coming to St. Louis and upcoming conventions. You’d think that with all the hoopla over the last Star Trek movie and how it re-energized the franchise and started things fresh that Trek would remain in the public eye. Guess again. Maybe it didn’t help that J.J. Abrams and his crew are taking forever to get a new film going. Then more and more fans are complaining about Abrams’ take on Trek and how it ruined the franchise, nullifying over forty years of Trek lore and made the film seem like a Star Wars wannabe flick. Another thing that isn’t helping is CBS Studios not wanting to make another Star Trek show while greenlighting junk like Person of Interest and other cop procedurals. For the average Trek fan (I refuse to call myself and fellow fans as trekkies, that’s too demeaning) this is a cause for alarm. In this crowded medium, Trek has to struggle to stay in the public eye. It can’t just rest on its laurels. That attitude of taking fandom and demand for granted is why the later shows declined in quality and ratings putting us in this situation. 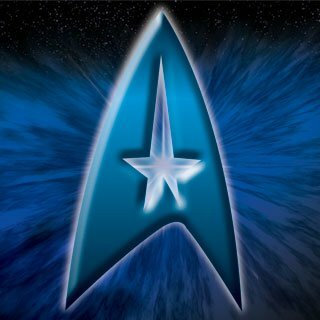 No Trek isn’t going away, who knows maybe the new film, whenever they decide to make it, will stir things up. Maybe it will take the fiftieth anniversary when we’ll get the articles and such about how Trek gave us cell phones and tablets (but no holodecks but we’re getting there with the 3D TVs). But Trek is best known for being a TV show, that is its home medium, so a new show has to come out to keep up with the other franchises. Just do a cartoon for now until the right people are found who can put out a quality show. That way Trek stays in the public’s mind. It worked for Star Wars with The Clone Wars cartoon. Here’s an idea do a cartoon about Starfleet Academy. It won’t be that offensive to anyone who hates the thought of Star Trek 90210 since it will more geared toward younger viewers, who in turn may become tomorrow’s fans that keep the dream alive. Just do something already. There are tons of good tv shows to choose from to say it’s the best. No matter what is said though, there is no doubt that this show ranks in the top 10 of all of them. Yes, there are shows that are a bit older but this one still has charm. There is comedy, wit, and a little politics, easily moving it up to the top. They just don’t make them like this anymore.